Awana Awards Night in the Main Worship Center! 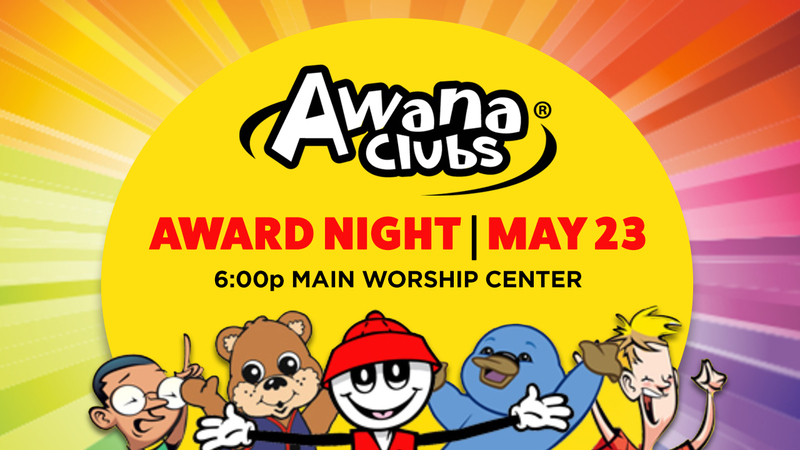 Join us in honoring your children and celebrating what God has done in our Awana Club! Puggles, Cubbies, Sparks and T&T will be a part of the ceremony! Pizza served at normal time in classrooms.